CHOOSE YOUR NEXT DREAM DESTINATION. After many years of surf instruction, our conclusion is that the best way to learn and/or dramatically improve your surf skills, is by going on a surf vacation, which allows several consecutive days focused on surfing. One of our advantages is that our instruction is not only in the water, but we also continue afterwards. Each session is filmed (the good waves and the not so good ones too) and then we watch the surf videos of each surfer together. Analyzing them, and learning from them, allowing for big improvements in the next session. 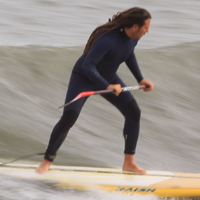 The staff is built from surfers who have surfed all over the world, competitive & recreational surfing, with a true passion for connecting people & waves. 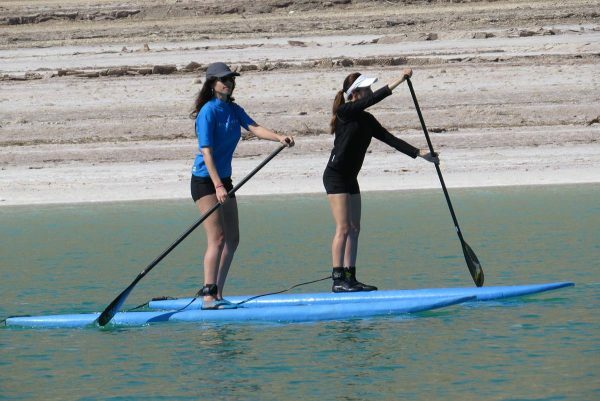 Dana has been teaching SUP and leading paddling groups for several years. Once Dana got on a Stand Up Paddleboard it was love at first sight. 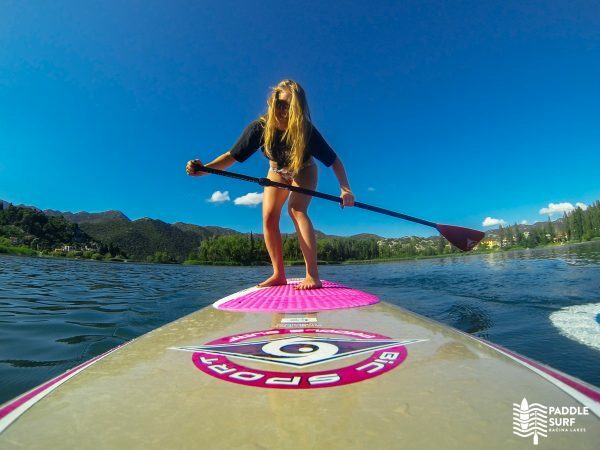 Since then she has been paddling all over the world, leading groups on unforgettable experiences, always on the lookout for the next exotic SUP trip destination. Dana has a Bachelor of Physical Education from the Wingate Institute. 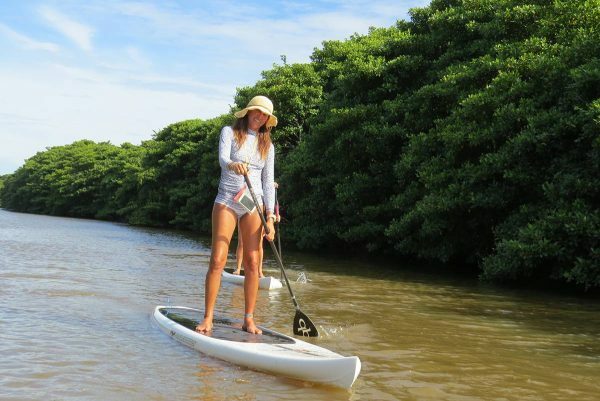 Dana’s SUP experience, charm and human relations make her perfect for leading groups on such trips. 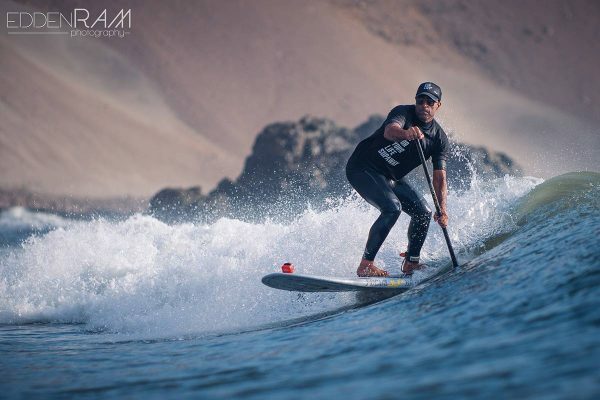 former Olympic wind surfer, founder of the Supaway Surf Club and a passionate SUP & surf instructor and guide.Amit has over 20 years of experience teaching and training in SUP, windsurfing, kitesurfing and wave surfing. 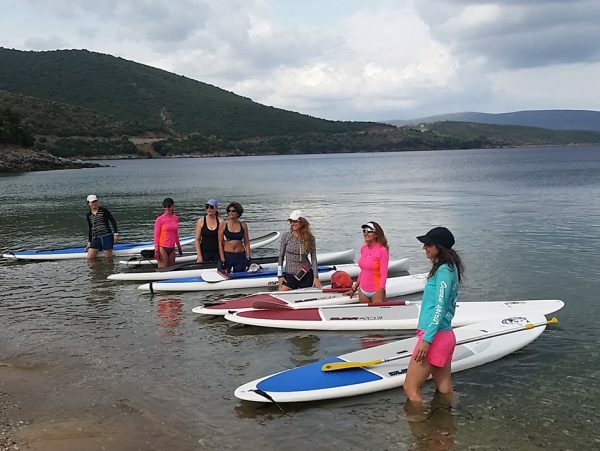 He has guided thousands of surfers & stand-up paddlers, beginners and advanced all around the world, in professional guided surf trips which aim to fast track the surfers’ improvement. 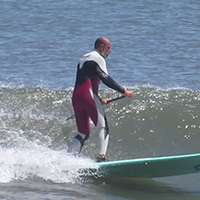 Amit’s presence on the water with the surfers, ensures optimal positioning & timing in catching the waves, “live” spot on instructions, pointers and tips. In addition, a video photographer films your waves, which are then analyzed together with Amit at the end of the day in order to learn and improve in the next session. I have been with EYS on four surf trips, to Sri Lanka, Peru, and twice to Morocco. I was a surfer when I was young, and after a 30 year break, I got back into surfing through these guided surf trips, so big thanks to EYS that helped bring back into my life the love and passion for surfing. It is incredible being able to just sign up for the trip, not worry about organizing anything, and at the same time knowing that wherever in the world Amit takes us surfing, everything will be organized professionally and we will get the waves and trip of our lives. I joined EYS on my first surf trip ever, fortunately and unfortunately it was straight to one of the best surf spots in the world, to the most perfect conditions in the water and on land. 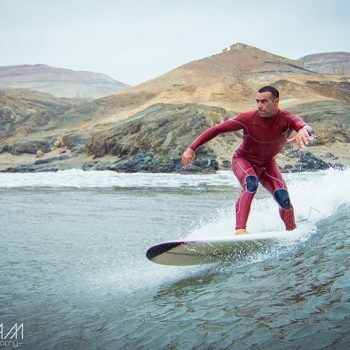 I went on an intensive guided surf holiday to Peru, and I managed to improve the quality and style of my surfing incredibly, in such a short time period thanks to Amit’s “on the water” coaching and post-session video analysis. I will definitely go on another surf trip with EYS! I have been on three trips with EYS. Once to Morocco, and twice to Peru. I started surfing just a year and a half ago and through these trips I manage to fast track and improve my surfing skills. Being with Amit in the water gives me the confidence to catch more waves. These guided focused surf trips have been the best way for me to advance in surfing. 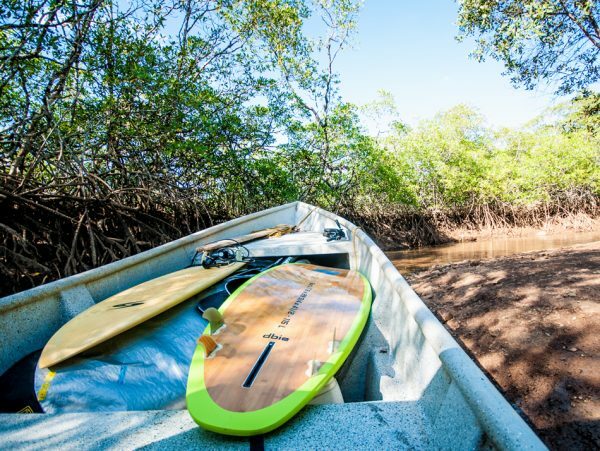 I have been surfing for over 20 years and I never went on a guided surf trip, since I always thought I’m better off independently, but I was happy to discover how much I enjoyed being part of the group and having all the trip details organized in advance. I am already planning my next trip with EYS, back to Chicama (Peru) again, although I could have gone back bymyself I am choosing to go again with EYS because the feeling of having someone professional with me all along is irreplaceable. I went on two surf trips with EYS, to Sri Lanka and Peru, each time I am impressed with the high level and professional guided instruction and attention to details, both while in the water and in the video de briefs we did at the end of each day. 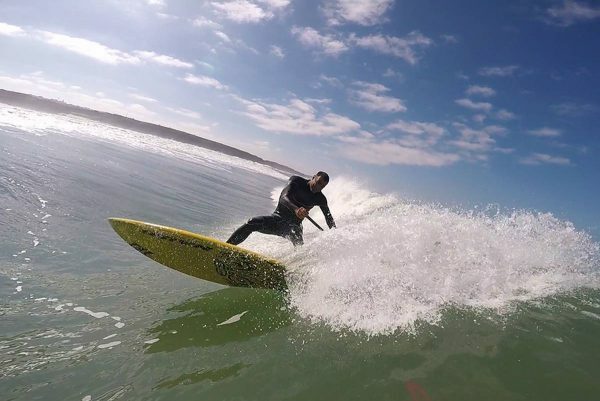 Both from Amit’s feedback on the videos and from being able to actually see myself surf, I am able to analyze my moves in slow motion and improve my surfing style a lot. It gives me a lot of confidence being with Amit on the water, and also its always an enriching experience getting to know the other surfers in the group, and being exposed to new and exotic locations that I wouldn’t have reached otherwise. I’ve been wanting to learn to surf for a while, after being a kite-surfer for many years. I knew that through a vacation dedicated to surfing I will be able to make substantial progress in a short time. 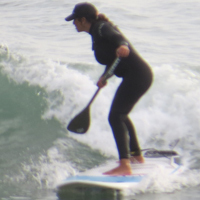 I went to Peru with Amit and was really able to quickly learn to surf and get confident at it. Definitely this was just the first of many more trip with EYS. I’ve been surfing for 27 years, mainly shortboard, and after many years of always organizing my own trips, I decided to go on a trip with EYS to Peru. It was very convenient and relieving to have everything taken care of for me. I was pleasantly surprised by the quality of the people in the group and the good dynamics that formed between us. And also that beginner and advanced surfers can surf the same spot without getting in each other’s way. Thanks to EYS for taking me to this amazing surf spot which allowed me to take my surfing to new places, to express my surf on a wave that is like no other. It was an incredible experience and I’m looking forward to the next destination with EYS. 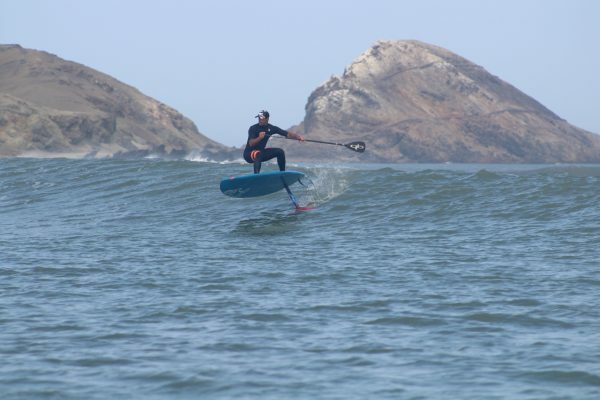 I’ve been SUP’ing for just over a year, and hardly had any experience with surfing, when I decided to go with Amit to Peru. 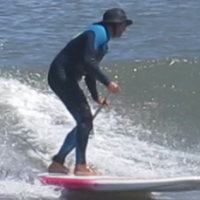 I was amazed to see how fast I improved in just 9 concentrated days of guided surfing. I went from zero to hero so fast, and mainly thanks to Amit’s instructions in the water, and watching the videos at the end of each day. Thanks EYS team for a great experience all around, in the water and out.